Leatherwood Antiques Sandwich, Mass. 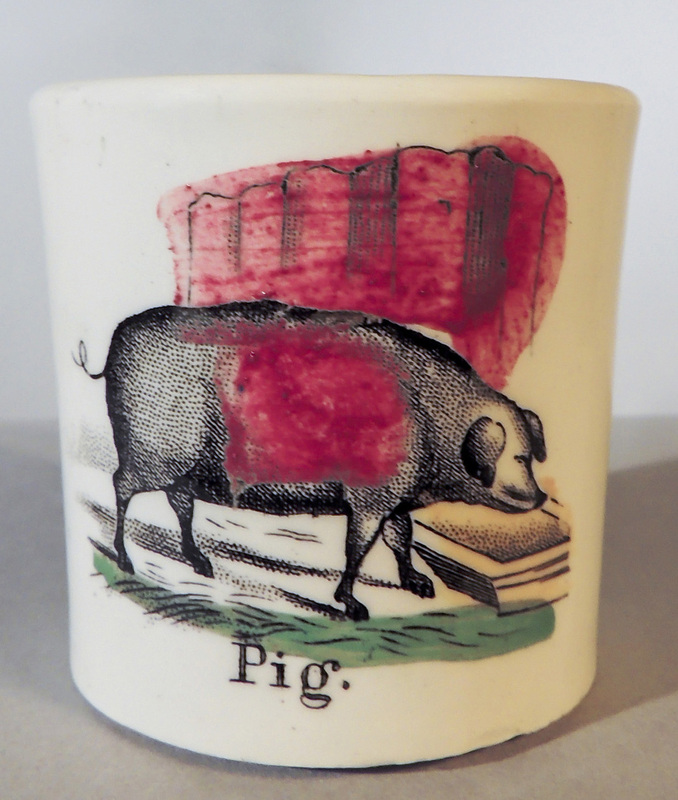 508-420-1433 info@leatherwoodantiques.com www.leatherwoodantiques.com Diminutive child’s mug, “Pig,” with overglazed colors, English, circa 1840, measuring 2 inches high by 2-inch diameter. See website www.leatherwoodantiques.com under Nineteenth Century children’s pottery — mugs.